Your foundation is one of the most important parts of your house, and our team at GeoInspections is proud to offer foundation inspections in Kansas City, Overland Park, Lee’s Summit, Blue Springs, Belton, Raytown, Independence, MO and the entire KC metro area. 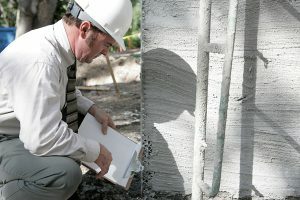 The GeoInspections team includes a Geological Engineer and a professional Kansas City home inspector, to give you home a thorough foundation inspection. GeoInspections has considerable experience inspecting residential foundations and specifically in foundation inspection in Kansas City, MO, Lee’s Summit, MO and the Overland Park, KS areas. A previous client was one of the largest foundation repair contractors in the KC Metro area. The asssociation was over a year whereby, GeoInspections task was to visit with the home owner, inspect their foundation and discuss the repair (if required) and provide estimated time and cost solution. Most of these tips are widely known, but unfortunately not regularly practiced by enough home owners as if their foundation depended upon it: but it does. It’s all about surface water management. Gutters that are correctly installed and maintained, downspouts that discharge water 6′ to 8′ away from the house and also keeping a positive slope against your foundation to shed water away from the house are 95% of the solution. Planting water-sucking, maple trees too close to the house are also a known problem. Let the staff at GeoInspections use their experience to assist you in maintaining a healthy foundation for your home. Your house will appreciate it! Most damage to basements occurs slowly, over many years, and homeowners may not notice a problem until there is a water leak or a major crack and wall movement. Homeowners should take some time to inspect the basement and its environment. A little common sense and simple maintenance will prevent potentially serious problems. Knowledge about changes in the foundation’s condition is essential to recognizing problems. Remember, water is the real threat to any foundation. Cracks can be signs of an overload or excessive stress on a wall. As homes get older, cracks have a better chance of appearing. Excessive displacement, continuing movement, differential settlement and certain combinations of cracks are real problems. The exception — those little hairline cracks that appear in floors and walls — often are caused by shrinkage and are not a concern since they are just cosmetic in nature. Remember: A dry basement may have serious cracks and structural problems, while a leaky basement may be structurally sound. Cracks, movement and leaks do not always go hand in hand. Surface-drainage issues often cause seepage problems. Wet soil from poor surface drainage causes leaks, and pressure from the wet soil can cause cracks and structural failures. So, what distinguishes a minor crack from a major problem? The key often is the amount of wall movement. Any movement over 1/2 inch signals a potentially serious problem. Any long horizontal cracks with inward movement, indicates a problem. While step cracks near windows and corners often are not serious, if they are combined with floor cracks, shear or vertical cracks, you should be concerned. 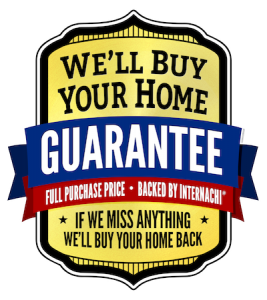 Call us at 816-506-0905 today to schedule your professional Kansas City foundation inspection today.